I have had a few of you ask me about how to go about putting a border on the bottom of you cake. I thought it might be fun to go over the most popular boarders and how you can do then yourself. This is the last thing I do on a cake but it’s an opportunity to add detail and charm. The fastest and easiest border to use is ribbon. It’s not an edible border but it’s pretty and very clean looking. Wrap the ribbon around the bottom of the cake and attach in the back with a little bit of water on the fondant. That’s it. You can use many widths, styles, and colors of ribbon to really add some great detail. The border that I would call my “go to” border is this first one. I pipe buttercream dots around the cake for a border. I use a larger round tip to do this. Usually a #5 or #6 tip. The only trick is getting the color to match when you need it to. But then again it doesn’t need to match…it can contrast or compliment the colors too. I hold my piping tip straight onto the cake while piping. When I have a more delicate or elegant cake, like a wedding cake, I use this same concept but cleaned up. I use a smaller tip, #3 or #4. Then while piping, I tilt my hand 45 degrees to the right and pipe. This will take the tip from being perpendicular to the cake to being more parallel. The only other border I pipe with buttercream is grass. When I want a literal grass look, I use tip #233. When I just want a grassy or thicker foliage feel, I use the triple star tip. Fondant borders are a great way to finish your cake and use up some of your left over fondant. Roll out your extra fondant and using a ruler, make long strips of fondant. Attach then to the base of the cake with a little water. This is one of my favorite borders because it can add color and variety, as well as a little whimsy. It is done pretty much how it looks. Roll up fondant balls, all the same size, and attach with water. **I actually use an extruder to produce nice even ropes for my borders. Fondant rope has lots of options. Or you can use a small cookie cutter to add detail before you attach it. This one was a small flower that I just lightly pressed into the rolled fondant. Make sure to not press too hard, losing the shape of the rolled fondant border. I used several of my gumpaste tools to make these details. Changing up the imprints for each tier added some great detail. I used my pink tool for the top tier, my yellow for the middle and a small circle cutter for the bottom tier. Just twist two ropes together to add more color. While using my extruder to produce ropes, I realized that if my fondant was too cold while pushing it through the extruder, it cracked a bit. That was the perfect effect for this cake. The cracked ropes of fondant rope produced a rope-like effect that I loved. Any shape repeated, can make a great border. I made these buttons by cutting out circles with a small circle cutter. Then I took a small piping tip (#2 or #3) and made two button holes in the center. Nice and easy……with such a cute look. I have one more to show you that didn’t fit into any of the categories above. But I really like this one! So many edible medias can look like sand or dirt. This one works for me. 1/2 part crushed chocolate graham crackers. I love the dirt look it gives. Just spread a thin layer of buttercream where you want the dirt to go and then sprinkle your mixture over the wet buttercream so it will stick. That’s it. Sometimes your fondant looks so perfect you don’t want to cover it up with anything! Ha Ha…..But that’s not me, I still need borders! And I enjoy what they add to my cakes. Let me know if you have any questions…….and go have fun with it. Thank you for sharing these! I love your make a cake series!! WOW! They all look WONDERFUL!!!! Thank you! Such creativity! These are all so neat. Thanks for sharing your talent! you are so talented! i loved seeing all your border variations. the horse on that one cake is uh-mazing! I want to know how you did that horse on the cake with the cracked rope border – sheesh!!! I love what ideas you have come up with to change up your borders! Thanks for sharing your wonderful ideas, Brittany! I also loved seeing the various cakes you've made- they are fabulous! You always do such a great job with your tutorials. You even make me believe that I can do it too! Thanks! can you tell me what you use for coloring? and if it will work the same for royal frosting? Anonymous– I use Wilton or Americolor brand of gel food coloring. They should work fine for royal icing. Good luck! I LOVE that horse/cowboy cake… and the farm… I guess its the mother in me coming out and thinking about boys birthdays. these all look so cool! 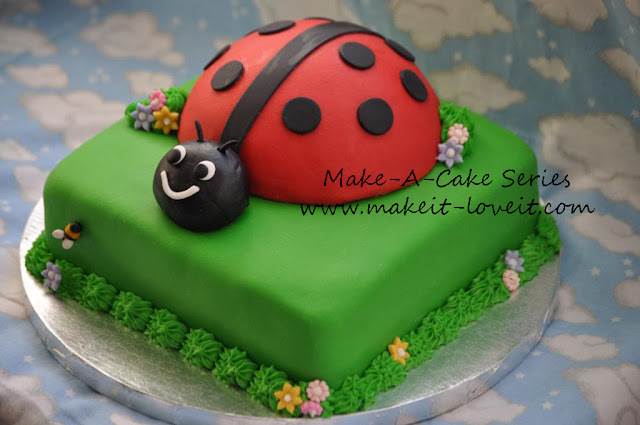 i really want to try making a fondant cake! Such great ideas! Would you mind sharing what kind of extruder you are using? I really dislike making ropes by hand and that would make it all so much easier! So many beautiful cakes! Thanks for sharing these! Emily- I use a clay extruder only because it was cheaper than a fondant one. Here is the link where I bought mine. I just washed I really good before I used it. I use a lot of clay tools and molds because working with fondant is so much like clay! I need to know how to make the Yankee cake! My husband is a die hard Yankee fan (my daughters name is Brooklyn for Brooklyn New York, my sons name is Jeter after Derek Jeter … you get the idea) I don't have any idea how to make these cakes but it is perfect for his birthday in November! They all look amazing. That horse cake!? Who does that! 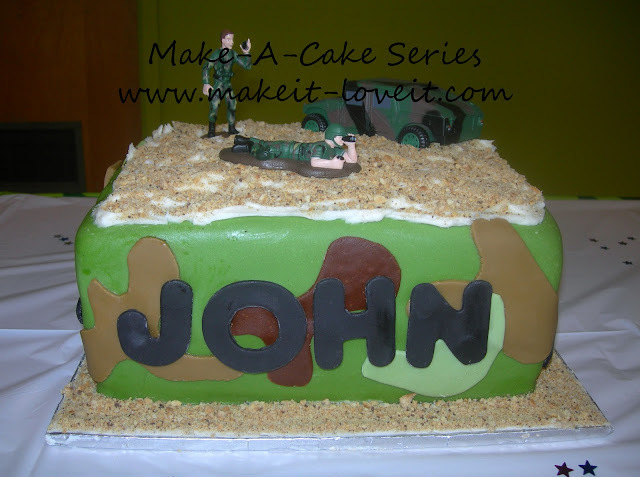 I love your make a cake series. I love that you showed your first cake. Gives me hope. All of your cakes look amazing! On the Farm cake could u tell me what u made the "pond water" out of? Thanks! I mad the pond out of piping get i tinted blue. It comes in a tub where ever you can buy cake supplies. Wilton makes it. Thanks for all these terrific ideas! I found this page while googling, and the overlapping cutouts are perfect for the cake that I was stumped for a border on.